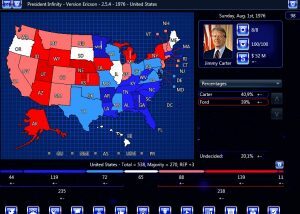 The United States 1976 Presidential Election Scenario — 200 Years of History!!! This 1976 election created by Os Davis and VCCzar. 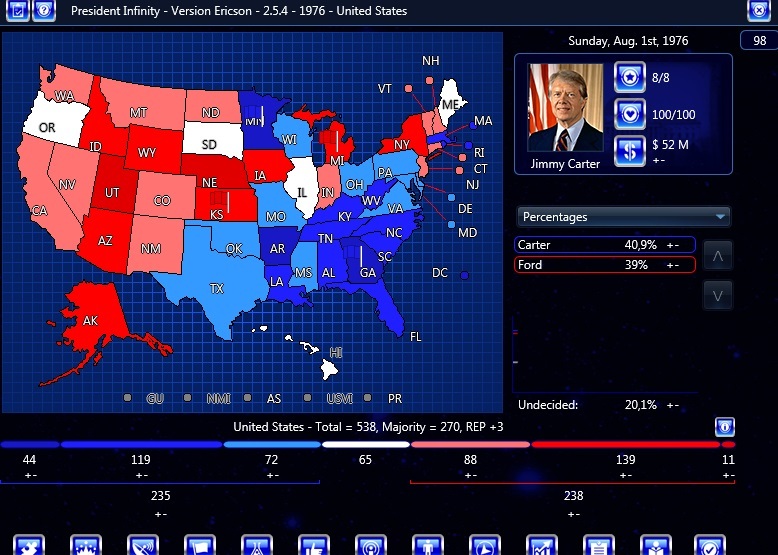 This is the historic election between Jimmy Carter and Gerald Ford. 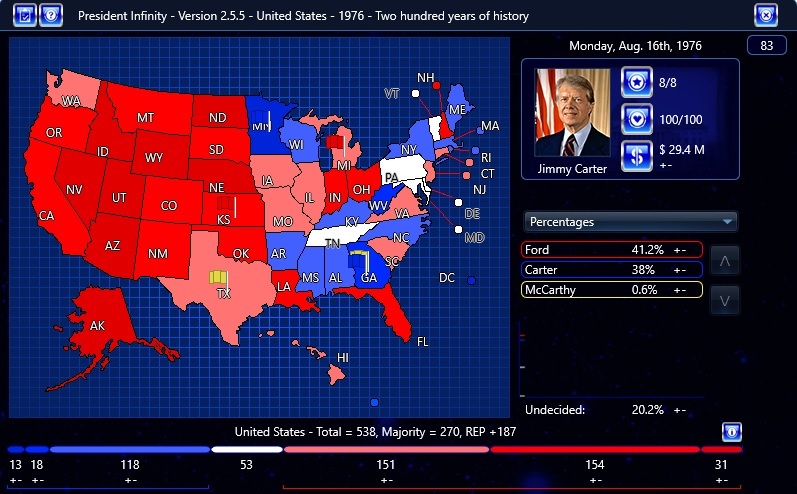 The game includes the historical primary challengers, including Ronald Reagan. Additionally, we have included several what-if candidates, most notably Ted Kennedy, Nelson Rockefeller, George Bush I, George McGovern, Hubert Humphrey, and more. The country is starkly divided and distrustful of Washington after the conclusion of the Vietnam War, the fallout from the Watergate scandal and the pardoning of former President Nixon by President Ford. The Democratic Party is poised to take back the White House for the first time in eight years with a crowded field of candidates, while the Republicans are experiencing an insurgency of conservation due to the emergence of Ronald Reagan. Will President Ford win over the country’s trust and successfully win his first national election, or will another candidate earn the right to guide the nation through this uncertain time?